The Strip Tube Ruler! You asked for it, and here it is! 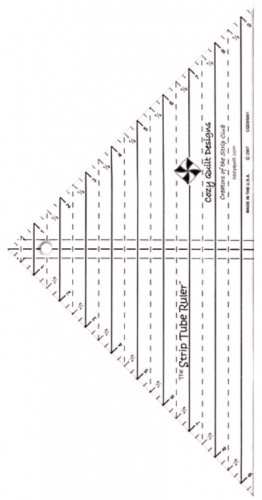 This ruler makes half square triangles a breeze by combining brilliant engineering with the tube technique. It's perfect to use with strips and even includes directions to make your favorite block from 2.5" strips. With this great gadget you can easily make accurate half square triangles from 1" to 9.5"!